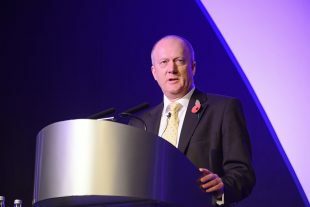 I am pleased to be able to provide more detail on what NDA’s Chief Executive John Clarke announced at our National supply chain event in November 2016. Back then, John Clarke indicated that NDA would be introducing measures to ensure sub-contract opportunities across our Estate were more visible, particularly to smaller businesses, or Small and Medium-sized Enterprises (SMEs). A new web portal, via the Contract Tender Management (CTM) system, means that businesses will be able to more easily view a wide range of sub-contract opportunities. Almost 30 major private-sector Tier 2 businesses working in the NDA estate have agreed to trial the scheme, which will advertise opportunities for the Tier 3/4 community. More than 60 per cent of the NDA’s annual £1.7 billion supply chain spend is with 30-40 major businesses or consortia who place many hundreds of sub-contracts for goods and services, usually publicised through a diverse range of electronic and printed formats. More businesses are expected to join as the scheme gets under way. The initial aim is to publish opportunities worth around £250 million in total. Using the CTM portal as a single advertising location also supports our goal to boost the UK economy by increasing the involvement of Small and Medium-sized Enterprises (SMEs) in public contracts. 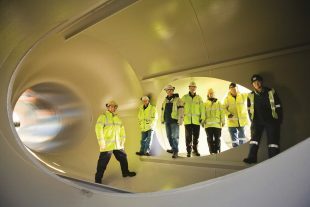 The government’s target is to encourage the top 500 government suppliers to advertise public sector sub-contracts more widely and our initiative directly supports this wider aim. We are committed to introducing measures across our estate that facilitate a wider involvement from SMEs and bring new participants to the market. This is part of an ongoing process to create greater openness and, if successful, will lead to a second phase where we are looking at introducing a standard cross-estate pre-qualification template to further simplify the red-tape associated with our industry. Greater levels of awareness of contracting opportunities will also encourage increased competitiveness. We aim to become the client that suppliers wish to work for – the nuclear client of choice. The NDA will publish an updated SME action plan in the very near future outlining further measures to support SMEs. This follows the successful publication in 2013 of a first wide-ranging plan to support smaller businesses working in nuclear decommissioning.